Description: Bellerophon Books, San Francisco, 1978. First Edition, Paperback. 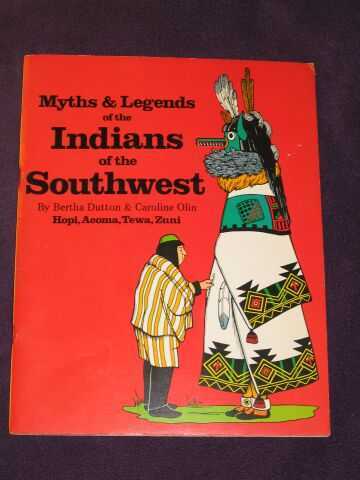 Near Fine/N/A.. 9780883880623 the second of two books, this one covering some of the folklore of the Hopi, Acoma, Tewa, & Zuni tribes, illust. throughout by b/w. drawings, very clean, unpaginated. Size: 4to - over 9¾" - 12" tall. Quantity Available: 1. Category: Myths, Legends & Folklore; Anthropology; North American Indians; Hopi, Acoma, Tewa, & Zuni tribes; United States; Indigenous Cultures. ISBN: 0883880628. ISBN/EAN: 9780883880623. Pictures of this item not already displayed here available upon request. Inventory No: PLG00009.